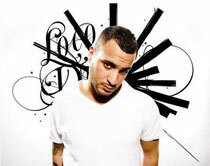 Loco Dice, international artist and Desolat label owner, has had a massive year in 2011, playing some of the most renowned clubs and festivals in the world. At the beginning of 2012 Loco Dice is again set to return not only to his artistic roots, but also to a fundament of dance culture that we love - small, intimate clubs with a capacity of 300 or less. It's been a while since the first Under 300 Tour in 2009, which led Loco Dice to 14 cities playing exclusive extended sets for ecstatic crowds. The forthcoming UNDER 300 TOUR in January and February 2012 pays tribute not only to vinyl, small lively dance floors, musical freedom and curiosity, but first and foremost to the resident DJ as someone who runs the engine room of creativity, educates and shapes the taste of many. The TOUR is hosted by a resident DJ in each city. Loco Dice along with his bag full of vinyl is a guest - a curious one, who will not only play in a traditional way, (two turntables and a mic), showing musical facets that are out of place on big stages, but who'll also use his microphone to interview and introduce each local host, giving the world far beyond the intimacy of a club an insight into UNDER 300.